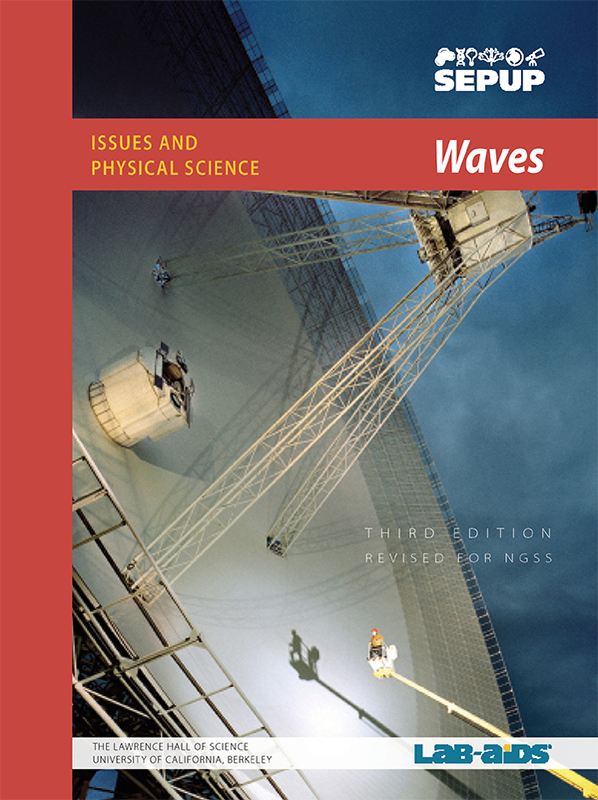 This Waves unit is part of SEPUP's Issues and Science three-year Middle School program. Each unit of the program incorporates science and engineering concepts and practices with current issues. The Waves unit focused on issues related to the harmful effects of waves due to exposure to excessive noise and sunlight and the preacations people can take to protect themselves. This webpage has animations and diagrams that help communicate how a pressure wave travels. This website has animations of both longitudinal and transverse waves. This website has links to interactive wave animations. This website explains and shows how different waves travel. Student Support Sheet This supplemental worksheet can be used to support students with Activity 10.